Canning requires a clean environment. Canning is a method of storing and preserving processed food to increase its shelf life. If you have a garden, or frequently visit your local farmer’s market, you can preserve any extra produce you obtain. Vegetables such as zucchini must be cooked before canning so they do not spoil. As zucchini has a low acid level, preserving the vegetable requires a canning method called hot-packing. Bring a pot of water to boil and immerse one Mason jar, without its seal and lid, for every two zucchini you need to can. Leave the jars in the boiling water for 10 minutes to sterilize them. Use metal tongs to remove the jars from the boiling water and place upside down on a clean towel. Pour fresh water into the pot and bring it to a boil. 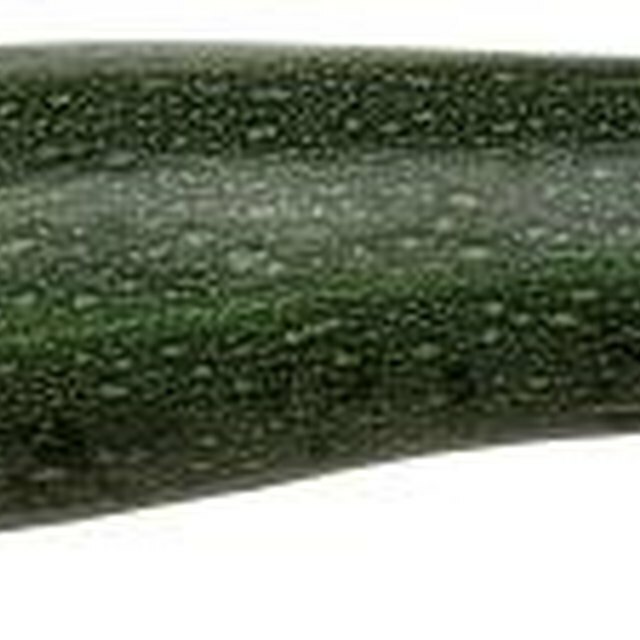 While the water comes to a boil, place the zucchini on a cutting board and chop off the ends with a sharp knife. Slice the zucchini into 1-inch thick pieces and place into the boiling water. Cook the zucchini in the boiling water for 20 minutes before spooning into the Mason jars. Fill each jar with the zucchini 1/2-inch from the top. Pour two inches of fresh water into the pot and boil over the stove top. Place the Mason jar seals into the boiling water and allow them to set for three minutes. Pick up each seal with a magnetic lid wand and place onto a Mason jar. Screw the jar lids over the seals tightly and allow the zucchini to come to room temperature before storing. Store in a dark and cool cupboard. Do not touch the Mason jar seals with your hands as you risk transferring bacteria before storage, causing the zucchini to spoil. Magnetic lid wands can be purchased from most grocers that carry Mason jars. How Long Does It Take for Asparagus to Cook in Tin Foil?